Dr. Zelt has been practicing Plastic Surgery for 18 years. The year 2009 will mark his 25th year anniversary having graduated from McGill University’s medical school in 1984. Following a six year residency in Plastic Surgery at McGill University, he began his practice in 1992 following two years of fellowship training in Melbourne, Australia and Los Angeles, California. He was born in Sarnia, Ontario and moved to Quebec in 1975. He is a member of the Canadian Society of Plastic Surgery and is certified by the Royal College of Physicians and Surgeons of Canada. His practice is exclusively breast and body contouring and has been so for over 12 years. 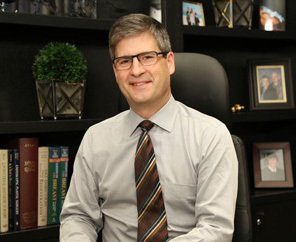 Dr. Zelt is currently the Division Chief of Plastic Surgery at l’Hôpital du Sacré-Coeur de Montréal, staff Plastic Surgeon at St. Mary’s Hospital and an Assistant Professor of Surgery at McGill University. His private office is located in the Ville Marie Woman’s Health Centre in downtown Montreal, Quebec at the corner of Guy and Sherbrooke St West. Dr. Zelt’s practice is managed by Natalie Gordon. She is always available to you to arrange appointments and follow-up visits, to help you schedule your procedure and to provide you with general information in both English and French. She will welcome you to our office with both courtesy and professionalism at all times. Your abdominal rejuvenation procedure will be performed in one of two modern, state of the art operating facilities in the Montreal area. Both sites maintain the highest safety standards and have a certified nursing staff that will ensure your operative experience is relaxed and uneventful. The anesthetists working at both operative facilities are certified by the Royal College of Physicians and Surgeons of Canada and work within the academic milieu of either the University of Montreal or the McGill University Health Centre. Your postoperative visits will be Dr. Zelt in our downtown offices at the Ville Marie. People tell us our best quality is that we really care about our patients and their happiness. Some have said our real “specialty” is simply listening. We will never prejudge your concerns and will not make any assumptions as to what goals you may have for yourself. Your satisfaction with our office and what we have to offer will depend upon giving you what you want.